We have to admit: We're impressed. Oculus isn’t giving up on PC-based virtual reality yet. It’s been three years since the original Oculus Rift launched, and you’d be forgiven for thinking Oculus’s attention was elsewhere. All we’ve heard about the past year and a half was its standalone headset, the upcoming Oculus Quest, due to release this spring. But as it turns out, Oculus has two headsets releasing this spring. 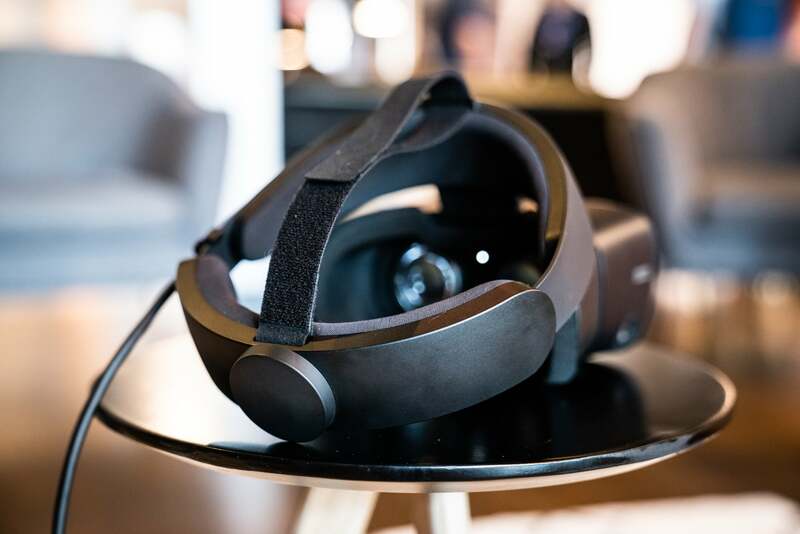 Announced this morning at GDC, the Oculus Rift S is the Quest’s PC equivalent and the Rift’s proper successor, a slightly higher-end headset at a relatively affordable price. The Rift S is not a Vive Pro, and that’s probably a good thing. HTC released its own high-end headset last year, and...well, I have to assume nobody bought it. It’s a fantastic piece of hardware, by far the best virtual reality headset on the market. It’s also $1,200. Even for early adopters, that’s a steep price. For your average consumer? Forget it. Oculus is taking a different tack, perhaps a result of the backlash over the original Rift’s $600 price tag. When the Oculus Rift S releases this spring it will retail for only $399. That’s only $50 more than the current Rift price tag, as well as the Quest. Nevertheless, improvements have been made. 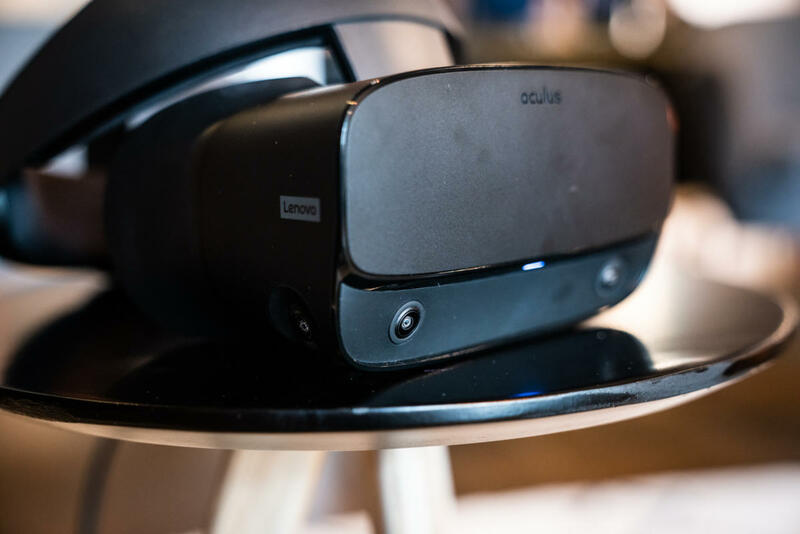 The Oculus Rift S was designed in partnership with Lenovo and features a radically different design from the existing Rift. Nearly every piece of it has been touched in some way. First and foremost, the display. That’s the piece that feels most outdated on the original Rift, and you’re getting a slight—slight—improvement here. The original Rift featured a 2160x1200 OLED display (1080x1200 per eye) with a 90Hz refresh rate and a 110-degree field of view. The Rift S upgrades some stats and downgrades others, with 1280x1440 per eye, or a total resolution of 2560x1440. This is, oddly enough, a slightly less crisp display than the upcoming Quest headset, which clocks in at 1440x1600 per eye, or 2880x1600 total. Oculus seems set on keeping approximately the same minimum spec for the Rift S as it did with the original Rift though (meaning an Nvidia GeForce GTX 960 or equivalent). In any case, 80Hz allows Oculus to keep that old minimum spec even with the higher resolution; more detailed frames, but fewer of them. As for how it looks? The screen door effect did seem less noticeable using the Oculus Rift S, but it’s still more present than the Vive Pro’s gorgeous 2800x1600 screen. The lenses seem improved though, and I didn’t notice as much light streaking as I’m accustomed to with the current Rift’s Fresnel lenses. The display might be the least of the Oculus Rift S’s changes though, to be honest. The headband, for instance, adopts improvements from the past three years of VR and AR design. The Oculus Rift S ditches the cloth straps of the original Rift and instead features a rigid “halo” design with a wheel on the back—the standard bicycle-helmet adjustment found on Microsoft’s HoloLens, the Vive’s Deluxe Audio Strap, and Vive Pro. It’s more comfortable, more convenient, and helps offset the device’s bulk by adding a counterweight to the rear of the headset. The Oculus Rift S also ditches the fold-down headphones of the original and opts for the same in-strap speakers as the Quest. This is a bit of a mixed blessing, in my experience. The speakers are decent, there’s less pressure on your ears, and it’s easier to hear what’s happening outside the headset, but it’s also easier to hear what’s happening outside the headset. This has been a nightmare in crowded demo scenarios so far, though I’m looking forward to testing it in my apartment where it’s less noisy. The Oculus Rift S features a 3.5mm jack though, if you want to plug your own headphones in. It’s not as precise as the old setup. It’s just not. If you put your hands behind your back, the system loses track of the controllers. It can be frustrating at times. But nobody will care. 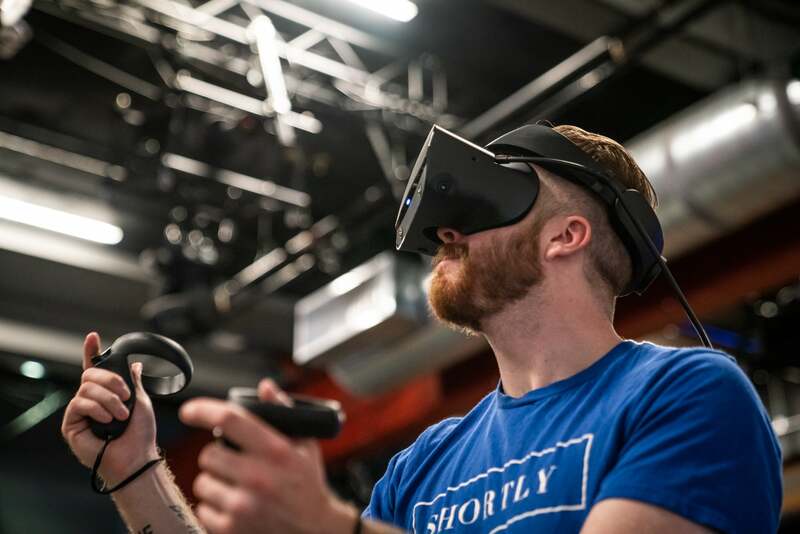 It’s good enough, with two cameras pointed down, two forward, and—unique to the Oculus Rift S—a camera pointing up above the headset to capture overhead movements. Sure, there are still blind spots, but they’re niche cases that the vast majority of users won’t encounter or at the very least won’t notice, especially if developers design around them. And the upshot is it’s now a thousand times easier to pull the Rift out of the box and start using it. 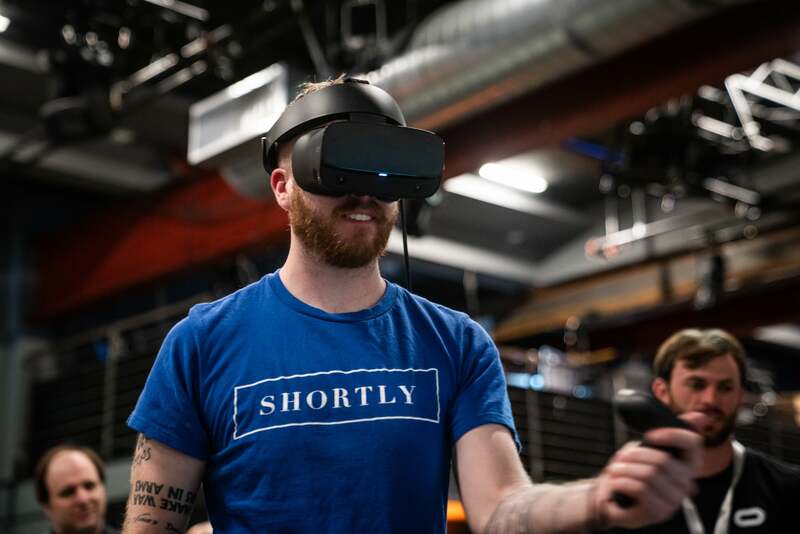 Oculus even described using the Rift S with a laptop, picking up the laptop, moving to another room, and resuming play within seconds—after a quick Guardian setup, of course. You don’t even need to take off the headset. 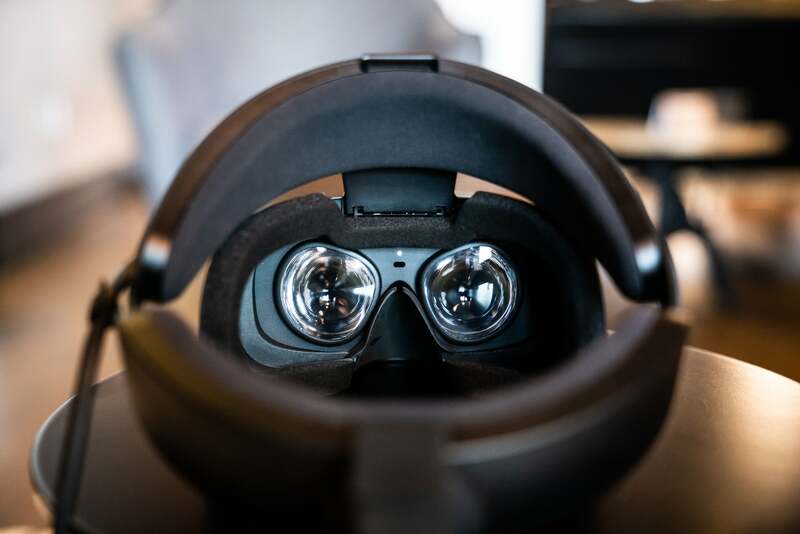 Again, thanks to the cameras on the Rift S itself, you’ll now be able to activate seamless passthrough to see your surroundings without removing the headset. 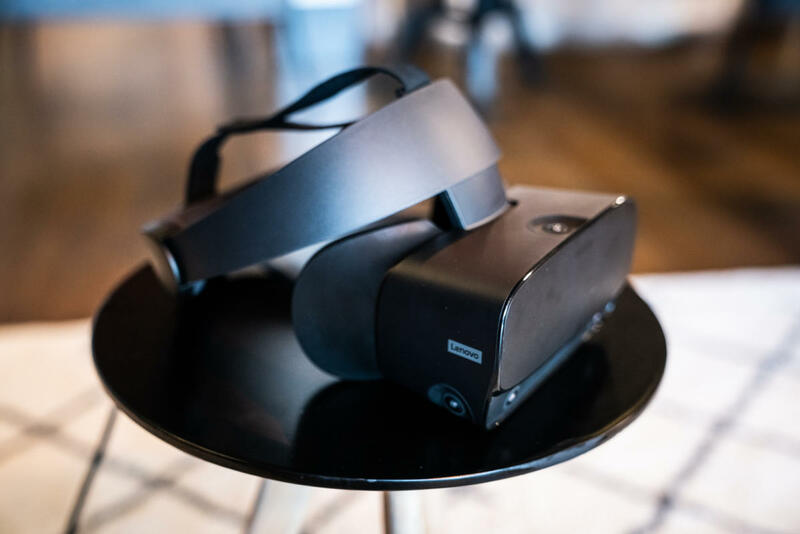 Oculus claims it’s optimized passthrough to match the framerate and FOV of the device, so you’re theoretically able to take a drink, use your mouse, or even walk through the house without having to pull the Rift S off. And again: It’s $399. That’s the real coup here, as the Oculus Rift S becomes the new baseline Rift instead of an expensive option limited to a small subset of users like the Vive Pro. In fact, if you want the original Rift (for posterity, maybe?) you’d better buy one soon. 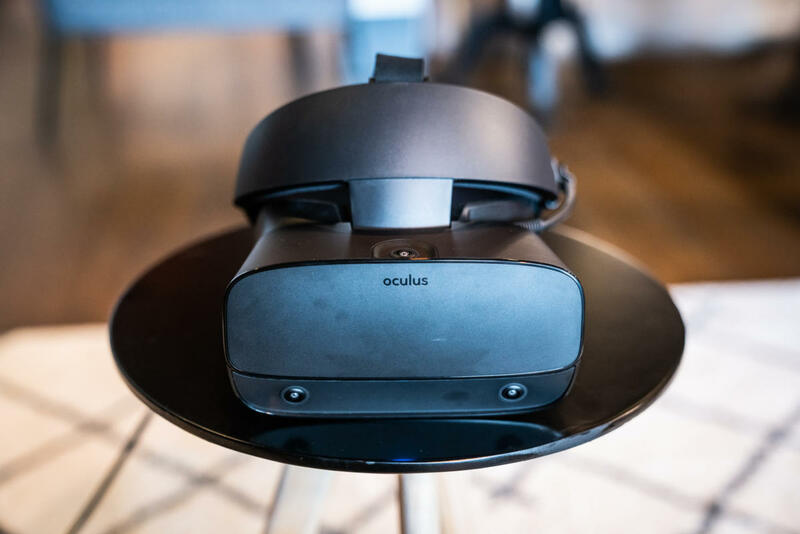 Oculus says it’s already phasing out the old model, and soon after the Rift S launch the new hardware will be the only PC option available. So that’s Oculus’s PC play for the future, and I have to admit: I’m impressed. Sure, it’s not the best hardware on the market. That’s still the Vive Pro. 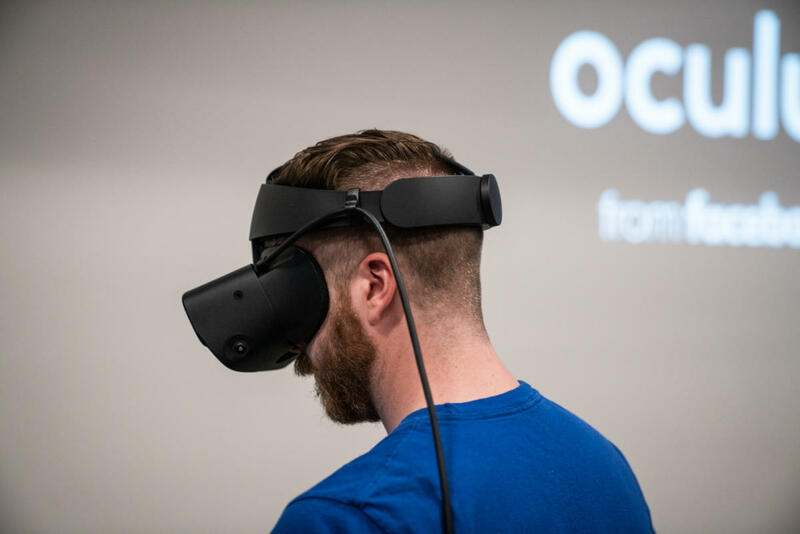 But the Oculus Rift S is a damn sight more practical for the average user, and if you’ve got a powerful PC and don’t mind being tethered to it, I think this will be your best option for the foreseeable future. It folds in enough of the improvements from the last few years to feel worthwhile but won’t force you to sell the family car to afford it. That said, the portable Quest headset still seems like Oculus’s real winner—and I say that as someone who does have a top-tier PC. The Oculus Quest is less powerful, sure, but detaching the cord makes a huge difference. Enough so that it’s hard to go back, I can tell you that. Regardless of which you choose, both will be here soon. Oculus didn’t nail down exact dates this week, but both are earmarked for “Spring 2019” with that same $399 price tag. We played a demo of Vacation Simulator on the Oculus Rift S, and that’s out as soon as April 9, so perhaps Oculus will be surprise-releasing one or both headsets then? It’s impossible to say. We’ll keep you updated though, and will have reviews of both as soon as we can.